Join Martz for a tour of Mount Nittany Wineries and a lunch at Nittany Lion Inn. 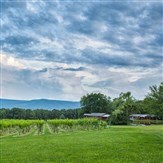 First, we will enjoy a visit to Happy Valley Vineyard and Winery in State College, PA. This site is dedicated to sustainability and green production. They offer a variety of vintages from their own winery !! Enjoy introduction plus tasting ! Next, we will head to The Nittany Lion Inn for it's daily lunch buffet including dessert and bottomless beverage. The buffet includes two hot entrees (usually one white meat/fish and one red), a hot starch, and a hot vegetable dish, soup, three types of salad dujour, cold cuts, cheese platter, and fruit tray. Following lunch, we will travel to Spring Mills where we will visit Seven Mountains Wine Cellars. You will sample a variety of their wines and take home a souvenir wine glass. Then, we will go do Mount Nittany Vineyard and Winery in Centre Hall. included will be a tasting of five or six wines plus a souvenir glass. Next, we will visit the Penn State Creamery on the campus of Penn State University in State College where you'll have to opportunity to purchase a delicious treat ! Our final stop will be Big Spring Spirits in Bellefonte, PA. We will do a tour of the production area where you'll learn how the distillery's handcrafted spirits are made, taste a few spirits plus browse in the small gift shop area which features the site's spirits and other souvenirs. We will make a fast food stop enroute home.